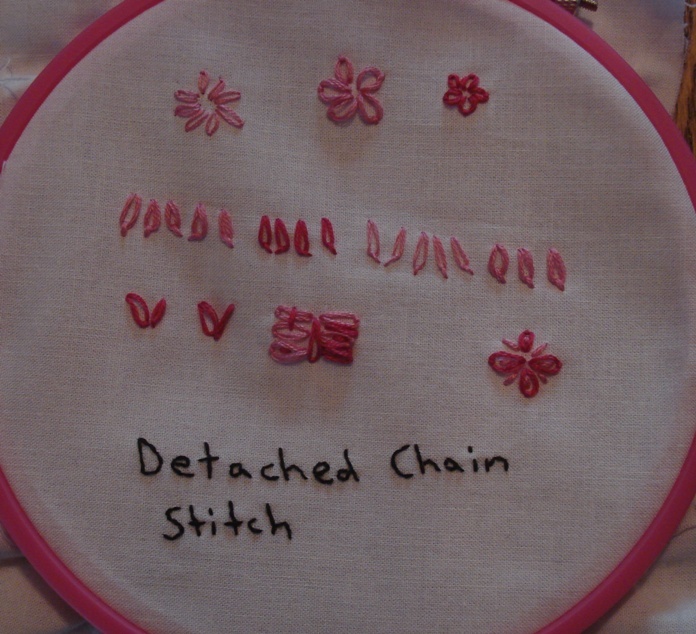 The stitch for week 7 of TAST is the Detached Chain stitch. It is also known as the Daisy stitch or the Lazy Daisy stitch. I tried this stitch as a child, found it confusing and did not try it again. My first few tries this week were not great but I became comfortable with the stitch.